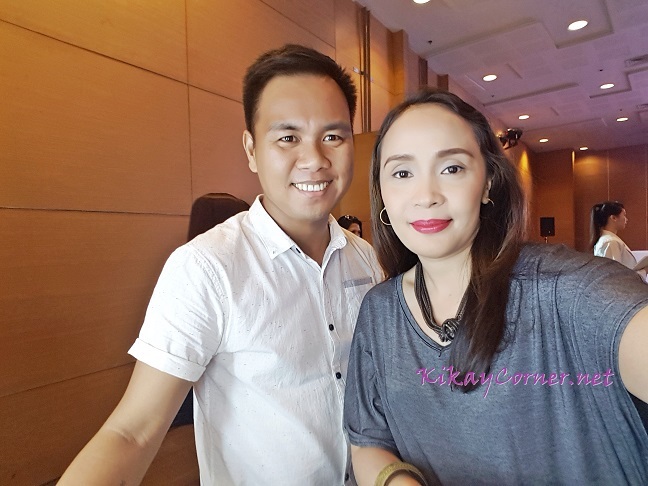 Kikay Corner is one with Deleteque Dermo, as it celebrates 10 years of making us Dermo Beautiful! With prolly over a thousand beauty brands all over the world, what would actually make a lady stick? I’d say it’s the brand’s sheer ability to deliver. 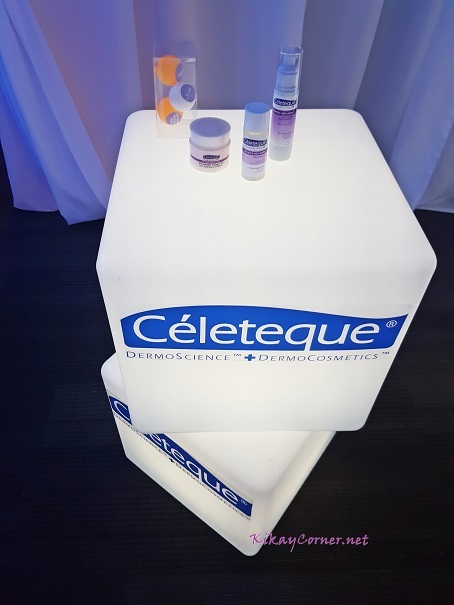 Celeteque Dermo is grounded in its products being co-created by dermatologists and beauty experts. 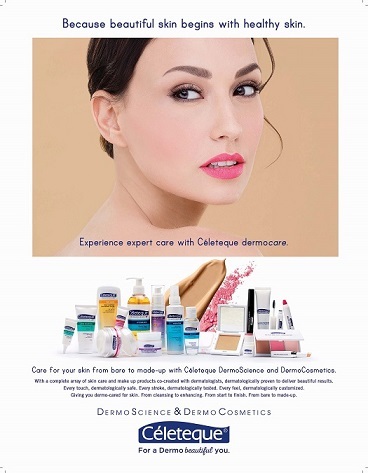 And over the years, more and more people are seeing for themselves that Celeteque Dermo truly delivers. 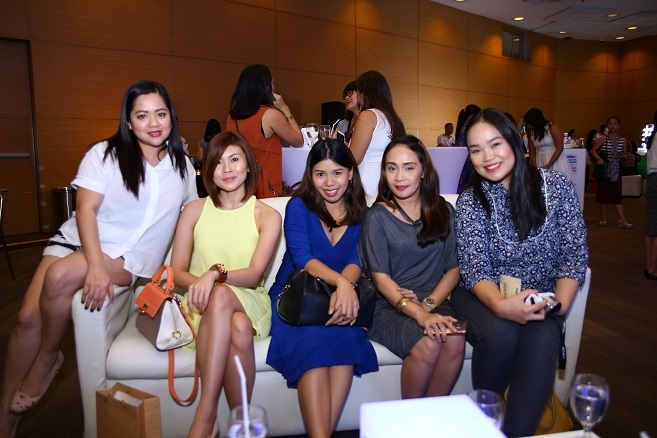 At the Celeteque Dermo 10 year celebration with fellow beauty bloggers. 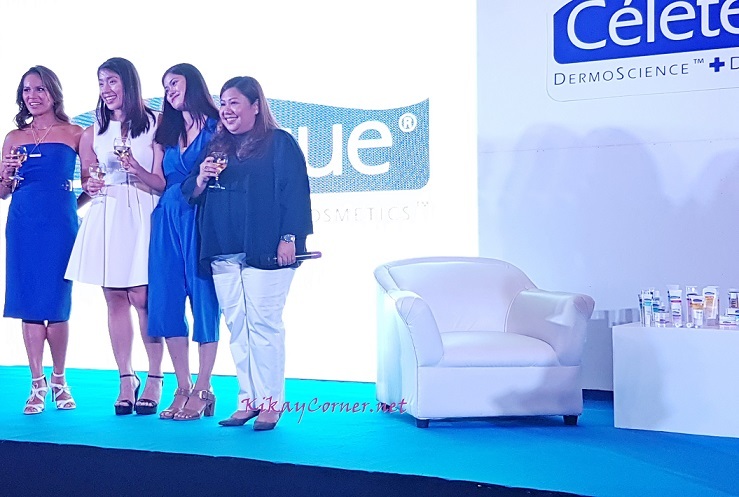 I believe one of the key factors that make Celeteque Dermo ring is their customized skin care solutions for specific skin types. Because we have to be realistic, it can’t be one for all. 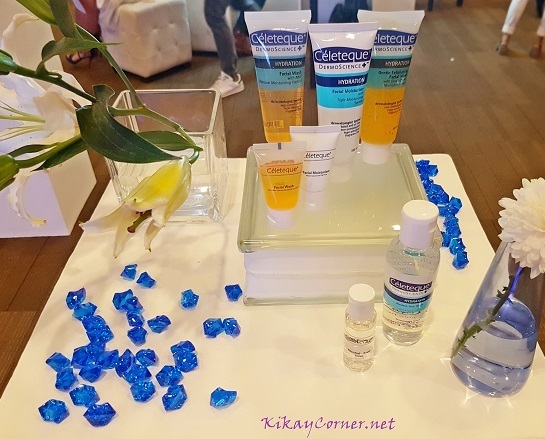 Because our skins are built differently, products that are for our specific skin type will be more effective. 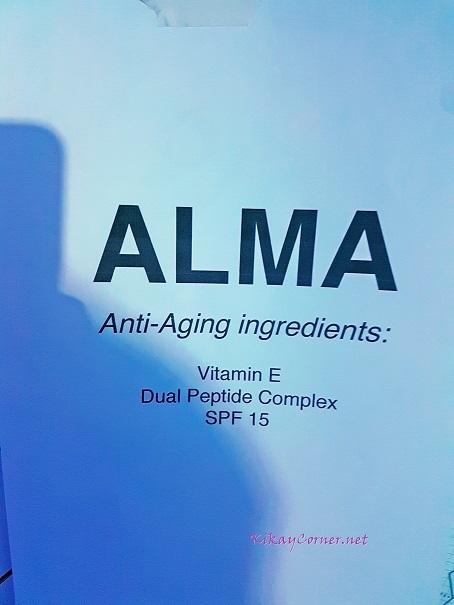 Each product is proven by clinical tests and evidence-based research to be effective and safe for everyday use, so there are no empty promises. 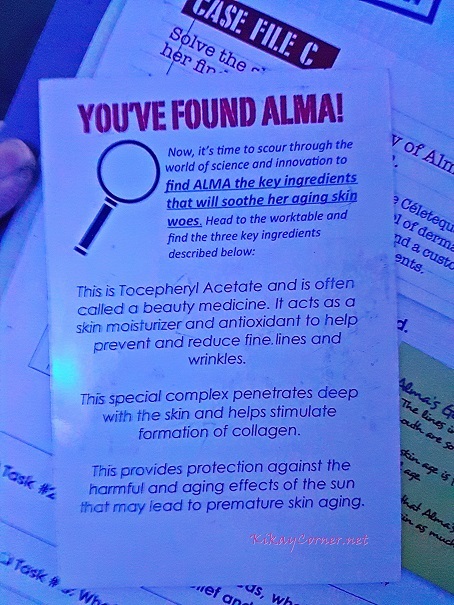 Celeteque Dermo promises healthy skin, so it gives us healthy skin, making us not just our most beautiful, but ultimately DermoBeautiful. 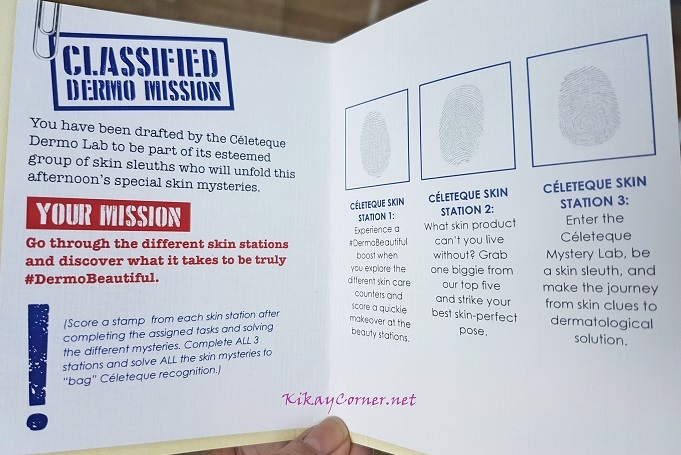 I became a Skin Sleuth for a day during the Celeteque Dermo 10th year celebration recently held at the Bayanihan Center in Mandaluyong City. My very tired, just commuted, “before” photo. 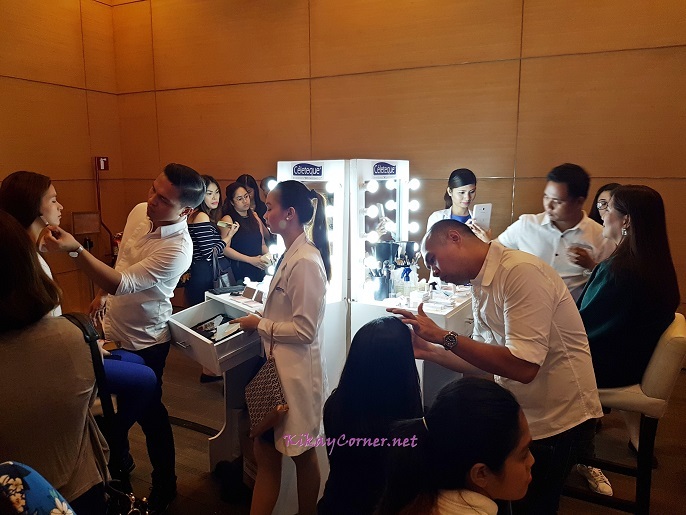 The Celeteque Dermo makeup artist was so nice as he walked me through the layering steps he did on my face. He started off with concealing my undereye unlikeables. Haha! He also gave me a tip on mixing Celeteque concealer with a cheek stick to lessen the incidence of creasing. 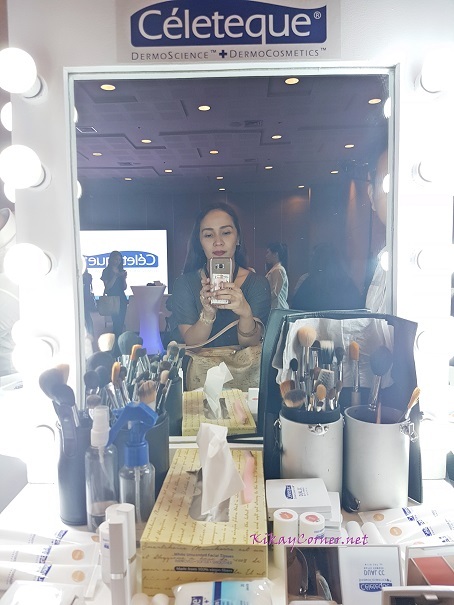 He also contoured my cheekbones down with the Celeteque’s Contour Kit. 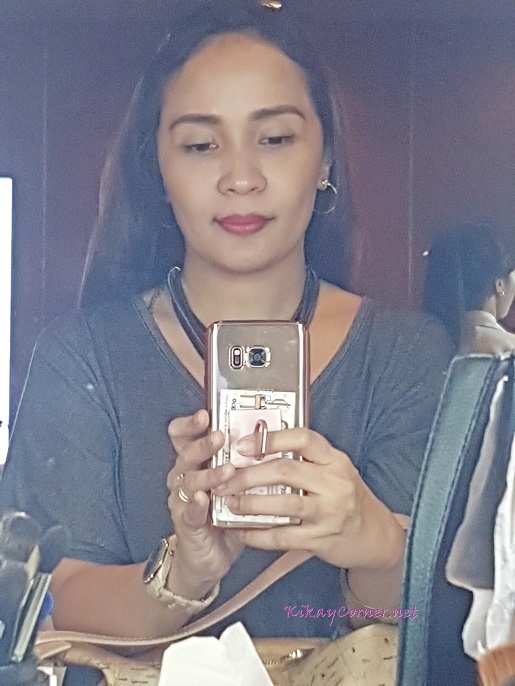 He mentioned that unlike faces that need contouring on the side of the cheeks to make them look thinner, I should concentrate on contouring my cheekbones so as not to make it appear as strong. One affirmation take away after the makeover was the fact that my makeup artist did not touch my brows. Not that I’d mind. But that does tell a lot about his approval of them. I love it! If there’s anything, I can leave the house with a bare naked face except for the brows. Haha! 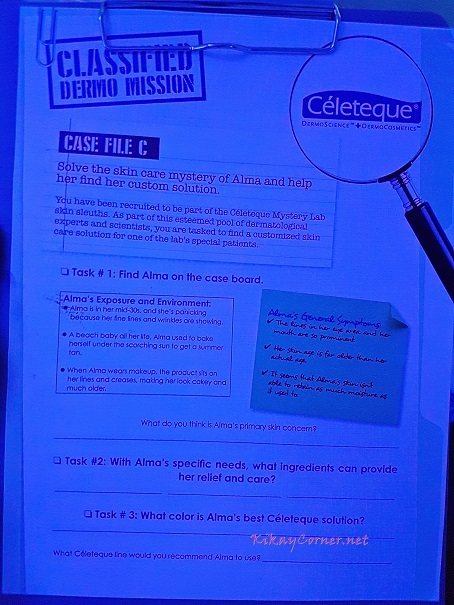 For Mission 2: I had my photo taken on the photobooth with one of my favorite Celeteque Dermo products. 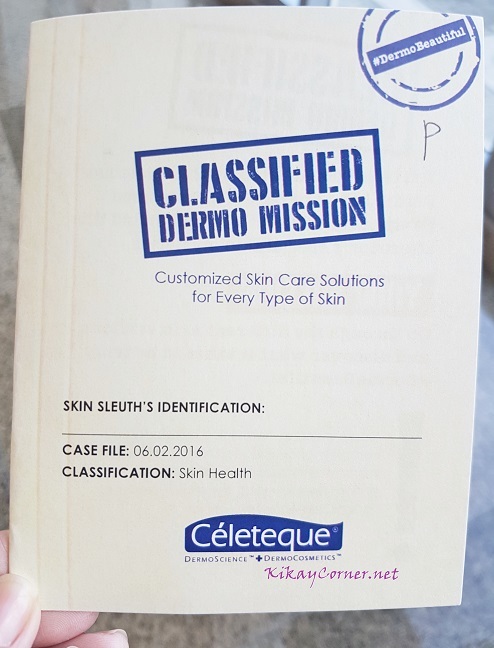 Together with other skin sleuths, we went in and were tasked to solve a case file. 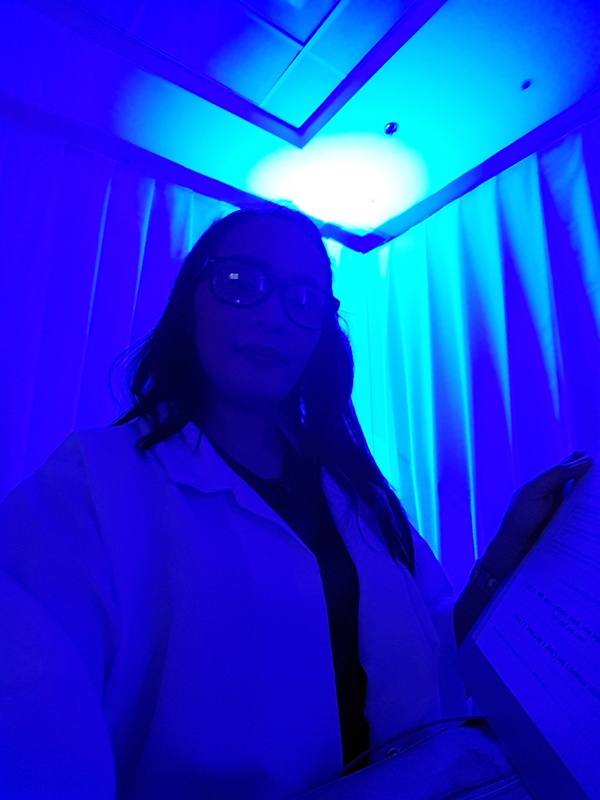 We wore our lab coat and glasses on and investigated on our cases. 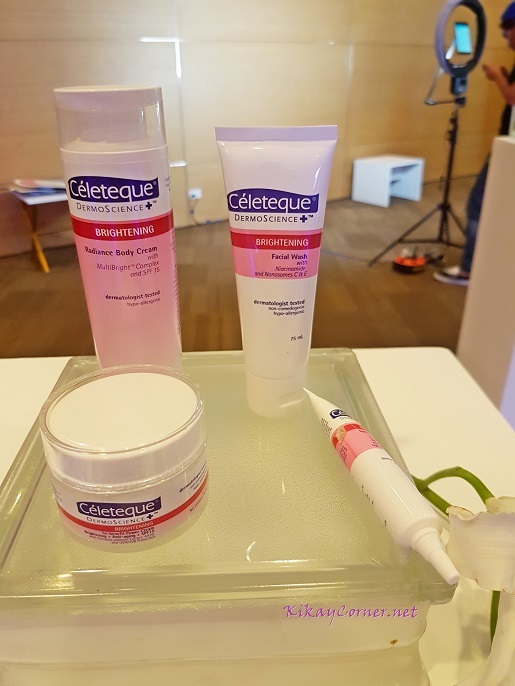 Part of Celeteque’s lineup of celebrated products is Céleteque’s DermoScience line, skincare products that cater to specific skin needs—from Hydration, Acne Solutions, and Sun Care, to Brightening, Advanced Anti-Aging, and even Hair and Scalp Care. The products have earned a loyal following and have become staples for even the most meticulous beauty experts. 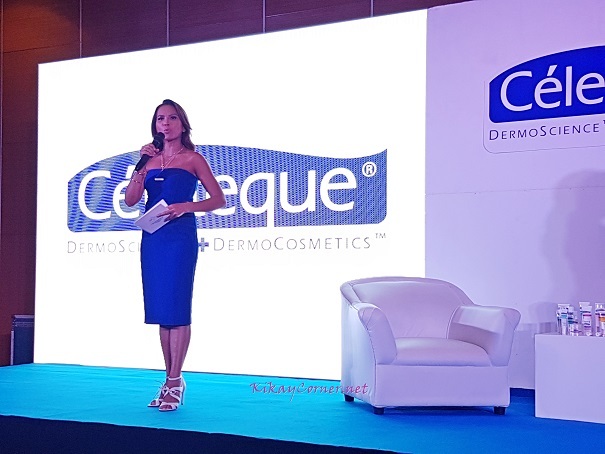 Thank you, Celeteque DermoCosmetics for your thrust to provide us loyal followers the exact skin care that we need for our specific skin concerns. Happy 10th years of DermoBeautiful Skin!